From touring and scratching through to hitting the apex every time on your favourite Sunday blast, the new Tiger Sport is a bike you will want to ride every day. The Triumph Tiger Sport has been designed to redefine the meaning of versatility and literally deliver the best of all worlds – from real sporting prowess, with more performance and thrilling riding characteristics – to mile-munching touring, with more comfort and capability for hassle free long distance riding pleasure – to the simple fun and practical needs of everyday get on and go riding. Featuring a host of developments, including the next generation 1050cc triple engine, a suite of rider-focused technology, enhanced comfort and capability and a more dynamic and sporty character. The NEW Tiger Sport is not an everyday motorcycle – it’s THE motorcycle you will want to ride every day. Superior drive and control The latest evolution of the Tiger Sport centres around the iconic 1050cc triple engine. Featuring 104 developments to optimise power delivery, which include new cylinder heads, inlet ports and piston design, this new generation powerplant delivers waves of immediate torque. 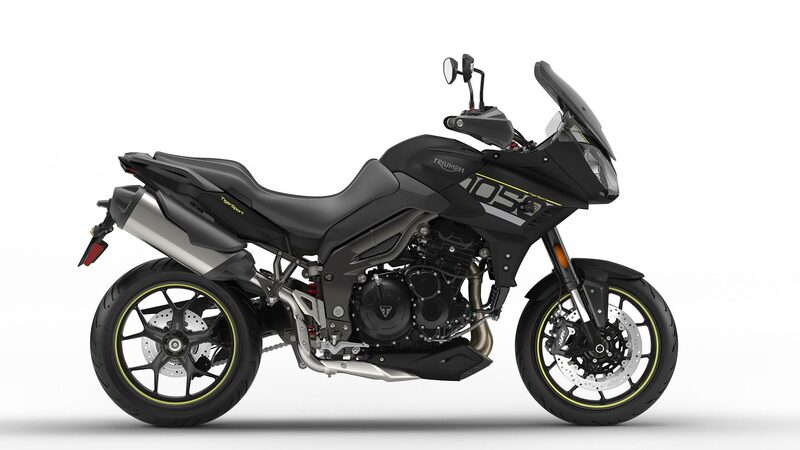 Instant throttle response, thanks to a new ride-by-wire throttle system, allows the rider to make maximum use of the triple engine’s signature drive in every situation from highway cruising to cross-town commuting. The new, 48% free-flowing flowing silencer not only sounds richer but also contributes to 8% better fuel economy. Technology for the ride The introduction of a new ECU, ride-by-wire throttle system and switchable traction control opens up the new Tiger Sport to a host of rider-focused technology. This means the new Tiger Sport gives an instant response to rider input, with seamless power and a wall of torque immediately on hand. Added to this are a choice of rider modes, enabling the rider to select the throttle response and traction control to suit the conditions. Available modes are Rain, Road and Sport, tailoring the system to optimise the bike’s performance and control. The Sport mode allows the rider to explore the maximum character and punch of the triple engine while Rain softens and reduces overall power delivery. A new USB and 12v power socket allows riders to charge up personal equipment and help with the fitting of powered accessories. Cruise control completes the suite of original equipment rider aids while an all-new instrument panel, including two trip meters and a live fuel gauge gives clear access to all the information a rider requires, with the benefit of simple navigation through the displays. Reduce the strain of riding A new tinted adjustable screen for superior wind protection, adventure handguards as standard and innovative ‘screen aero diffusers’, that deflect the air away from the rider and passenger without compromising the sporty stance, deliver an unprecedented level of aero protection for significantly improved touring capability and comfort. Added to this is a new torque-assist clutch that eases the strain of both city commutes and long-distance adventure by reducing lever effort by up to 48%. The new clutch system is coupled to a slick six-speed gearbox to allow the rider to make maximum use of the available power whilst providing a comfortable ratio for top gear long distance cruising. 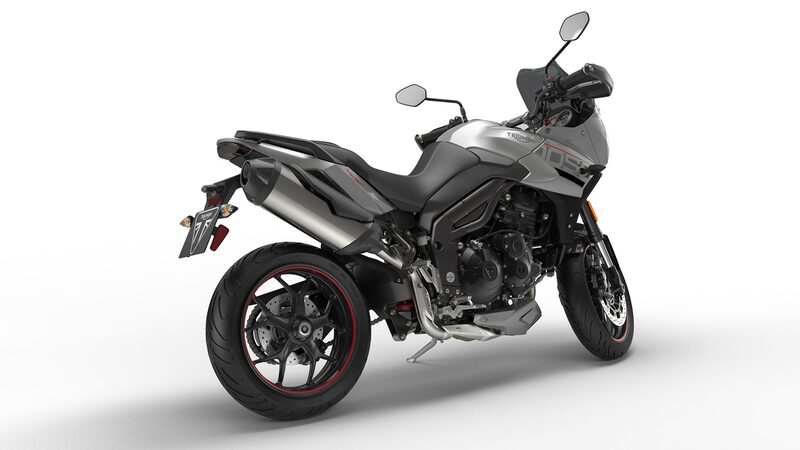 Dynamic style and sporty character Restyled and with all new livery available in subtle matt black – with neon yellow detailing – or striking aluminium silver with red details, the Tiger Sport makes a stylish statement for every-day, every-journey motorcycling. The Tiger Sport’s single sided swingarm gives a clean finish while completing the new look with revised engine covers, new mirrors, new belly, new header heat shield and a billet machined rear wheel spindle finisher. Rider comfort reaches a new level of sophistication too – with restyled footpegs designed to give more grip and a new seat with embossed logo and stitching detail. With a huge fan base worldwide, thanks to its thrilling triple engine, great handling, excellent rider and pillion ergonomics and a large load-carrying ability the new Tiger Sport has been developed to be better in every way for the motorcyclist who wants a single bike that absolutely does it all. More thrilling and responsive riding experience. 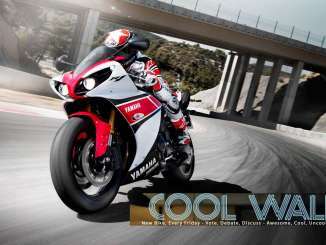 •Next generation signature 1050 Triple engine with 104 changes for more performance, power and torque. •New 38% freer flowing silencer and an even better sound. •New torque assist clutch with up to 48% lighter lever action. •ABS and new switchable multi-level traction control. •Cruise control fitted as standard. •Adventure hand guards fitted as standard. 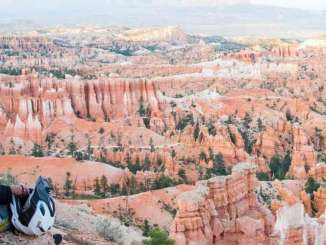 •More high quality sports adventure detailing & finishes including; new footpegs with improved grip, redesigned mirrors, belly pan and heat shield. •New badges and eye catching contemporary graphics. •New contemporary matt black or aluminium silver liveries. The latest evolution of the Tiger Sport centres on the iconic 1050cc triple engine. Featuring 104 developments to optimise power delivery, which include new cylinder heads, inlet ports and piston design, this new generation power plant delivers 126 PS @ 9,475 rpm 106Nm of torque @ 7,000 rpm for waves of immediate torque. 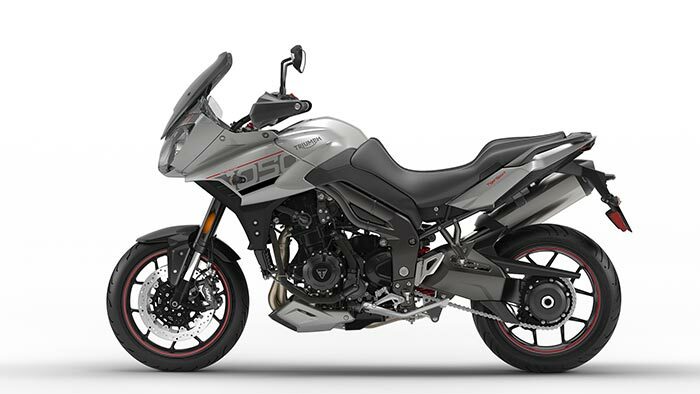 Instant throttle response is courtesy of a new ride-by-wire throttle system, which allows the rider to make maximum use of the triple engine’s signature drive in every situation from highway cruising to cross-town commuting. The new, 48% freer flowing silencer not only amplifies the exhaust note, it sounds richer and also contributes to 8% better fuel economy. The dynamic handling and touring comfort of the new Tiger Sport is achieved through a compact single-sided swinging arm and the application of Showa 43 mm upside down forks on the front with adjustable preload, rebound and compression damping, and a Showa Monoshock with adjustable preload and rebound damping at the rear. The inclusion of new switchable multi-level traction control and ABS coupled to Twin 320mm floating discs, Nissin 4-piston radial calipers at the front and a single 255mm disc, 2 piston Nissan caliper at the rear, complements and completes the package. Rider and pillion comfort reaches a new level of sophistication with restyled, grippier footpegs, a tinted, adjustable screen, new mirrors and adventure style handguards. A new tinted adjustable screen for superior wind protection, adventure handguards as standard and innovative ‘screen aero diffusers’, that deflect the air away from the rider and passenger without compromising the sporty stance, deliver an unprecedented level of aero protection for significantly improved touring capability and comfort. Added to this is a new torque-assist clutch that eases the strain of both city commutes and long-distance adventure by reducing lever effort by up to 48%. The new clutch system is coupled to a slick six-speed gearbox to allow the rider to make maximum use of the available power whilst providing a comfortable ratio for top gear long distance cruising. The introduction of a new ECU, ride-by-wire throttle system and switchable traction control opens up the new Tiger Sport to a host of rider-focused technology. This means the new Tiger Sport gives an instant response to rider input, with seamless power and a wall of torque immediately on hand. Added to this are a choice of riding modes, enabling the rider to select the throttle response and traction control to suit the conditions. Available modes are Rain, Road and Sport, tailoring the system to optimise the bike’s performance and control. The Sport mode allows the rider to explore the maximum character and punch of the triple engine while Rain softens and reduces overall power delivery. A new USB and 12v power socket allows riders to charge up personal equipment and help with the fitting of powered accessories. Cruise control completes the suite of original equipment rider aids while an all-new instrument panel, including two trip meters and a live fuel gauge gives clear access to all the information a rider requires, with the benefit of simple navigation through the displays. The new Tiger Sport makes a stylish statement of riding intent. The Tiger Sport’s single sided swingarm gives a clean finish while completing the new look are revised engine covers, new mirrors and an aluminium billet machined spindle finisher. The choice of striking livery from all new imposing matt black – with neon yellow detailing – or striking aluminium silver with red details, the Tiger Sport not only rides like a dream, it also looks incredible. Instrument Display and Functions LCD multi-functional instrument pack with digital speedometer, 3 riding modes, switchable traction control, trip computer, analogue tachometer, clock, fuel gauge, range to empty indication, hazard / scroll button on handlebars, TPMS ready. CO2 figures ** EUR4 Standard: : 121 g/Km **CO2 and fuel consumption are measured according to regulation 168/2013/EC. Figures on fuel consumption are derived from specific test conditions and are for comparative purposes only. They may not reflect real riding results.